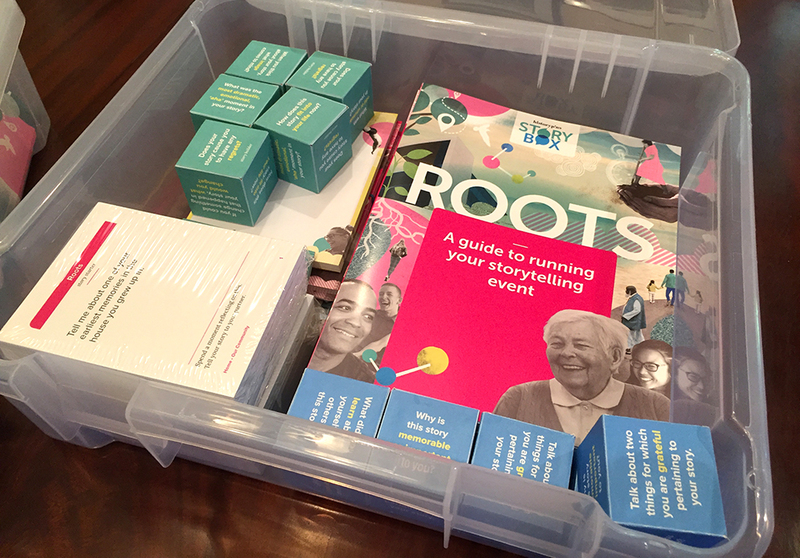 Historypin’s prototype Storybox kit includes tools for starting conversations. One of the most elemental components of Historypin’s Storybox is the conversation starter. It comes in the form of a themed deck of cards with carefully composed questions or prompts, for people to use to tell one another stories about their lives. 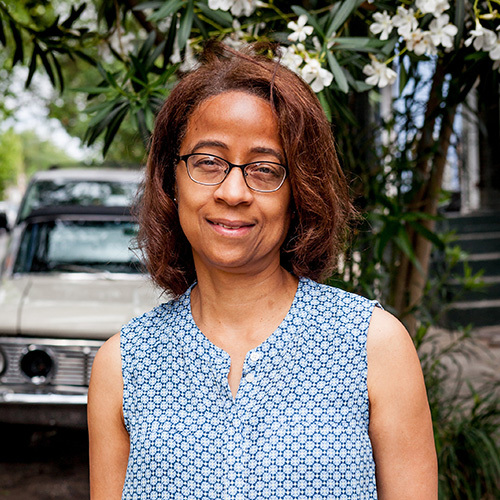 Historypin’s Storybox, currently in its pilot phase, is a six- to eight-week facilitated program for building community through story sharing. 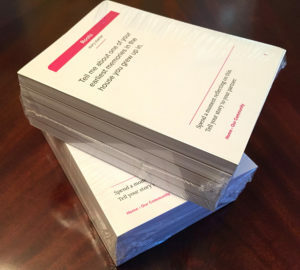 At the start of a Storybox event, participants, who ideally don’t know each other well, sit in pairs and flip through the deck, choosing among topics. Then they take turns telling stories around the topics they’ve chosen. Sharing stories at a Storybox event in New Orleans. Sounds easy enough, and with Storybox, it is. But generally, starting conversations with strangers — out of the blue — isn’t at all easy for many of us. The people who had to interact with others on the train anticipated they would be the least happy among the group. “But that’s not what the study found,” Vedantam said on the broadcast. As it turns out, those who were compelled to interact reported being happier with the outcome of their assignment. They had “a more pleasant commute when they connected with the person sitting next to them,” said Nick Epley, a behavioral science professor who co-authored the experiment. The experiment, Vedantam said, pointed out what it is that keeps us from connecting with one another. Historypin’s Storybox – story starter card decks. As Historypin has tested Storybox, I’ve observed a momentary look of discomfort or hesitation when we ask people to sit with and talk to a stranger. But that tends to dissipate quickly when people pair up and flip through the story prompt cards. 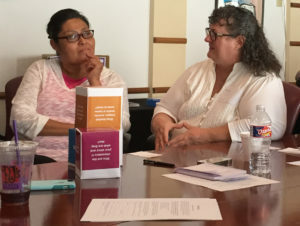 At pilot events over the past several months, participants, aided by the prompts, have eased into conversation, recounting both profound and light-hearted life experiences. The Storybox experience is designed to provide people with building blocks for making new or stronger social connections, and also to help create empathy among individuals or groups unfamiliar or even at odds with one another. And, at its core, Storybox provides a way to get around what is often a great barrier to connecting with people — conversation starters. Listen to the seven-minute NPR broadcast or read the transcript here. Apply to join our Storybox UK pilot!